There will be no track permit this coming Wednesday 11/25, the day before Thanksgiving. We hope everyone has a wonderful holiday! NEW! Registration is OPEN for MCRRC’s NEW Winter Advanced Marathon Training! 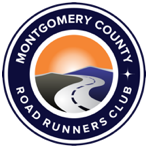 Registration is OPEN for Turkey Burnoff (Non-MCRRC Members ONLY)! Attention Non-MCRRC Members! Avoid the lines on race day & register in advance for MCRRC’s annual Turkey Brunoff 5 Miler & 10 Miler! $10 for adults 18 & over; $5 for runners under 18. REGISTER today! Members- The track location for tonight’s workouts (10/20) will be Rockville High School and tomorrow’s workouts (10/21) will be Richard Montgomery. We have arranged for the stadium lights and will also be placing a port-o-john for our groups use. The port-o-john will be located behind the tennis courts. If you have any questions, please contact the office at office@mcrrc.org. This week, our track location permits are as follows: Tuesday evening – Rockville High School Wednesday evening – Richard Montgomery High School If you have any questions, please contact the MCRRC Office at office@mcrrc.org. Run Under the Lights is SOLD OUT! Congrats to everyone who got in. The 2015 event is SOLD OUT. Thanks to everyone who registered! Registration is OPEN for 2016 Winter Trails & Advanced Marathon Training! Attention Members! Registration is now OPEN for two of MCRRC’s winter training programs. Sign up today for the 2015-16 Winter Trail Program or the new 2016 Advanced Marathon Training (AMT) Program! Get a jump start on those 2016 running goals – we hope to see you out there! Please visit the program pages for additional information. Registration for Run Under the Lights is OPEN! Please note the official “Wednesday Track Workout” scheduled for Wednesday, September 30 has been cancelled due to track unavailability. We apologize for this inconvenience. If you are a participant in a training program, please defer to instruction from your program director(s) on workout location. Registration for the MCM Hospitality Suite is Now OPEN! As of 9:30am today, the 2015 Parks Half Marathon is SOLD OUT! Thanks to everyone who registered for this annual event & we’ll see you on race day! Attention Members, Our track permit for both Tuesday & Wednesday nights, has moved back to Rockville High School effective immediately, through November 25th. The track location after November 25th is TBD. We do apologize for this late notification. Changes are Afoot at MCRRC! Going Green Track Meet – Postponed! Please be advised that the Going Green Track Meet scheduled for this Friday, June 26th, has been postponed to Friday, August 7th. We do apologize for this last minute change & we hope that anyone who was planning to attend, can join us on the new date.